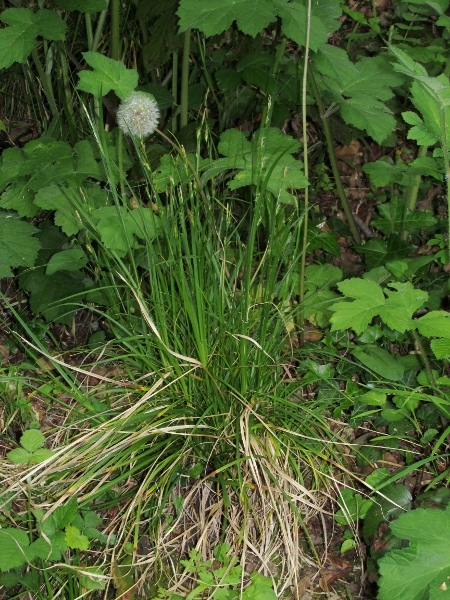 Carex depauperata is a very rare sedge of woodland margins that grows at 2 or 3 sites in southern England. 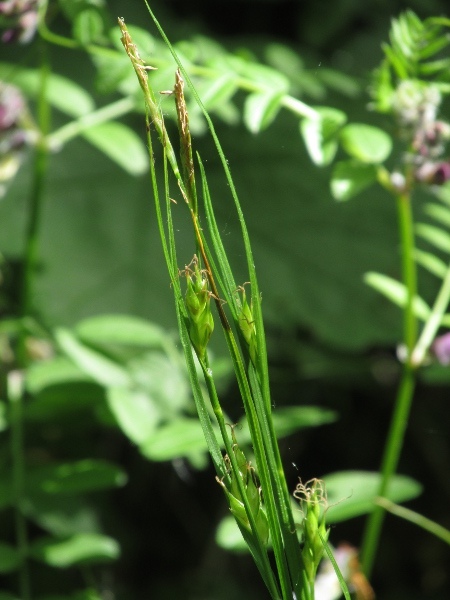 Carex depauperata has the longest utricles of any British sedge. 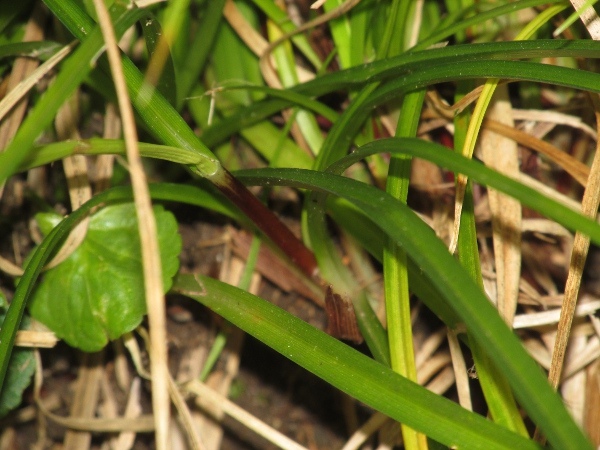 The leaf-sheaths of Carex depauperata are suffused with a deep red pigment, and the stem is only very weakly 3-angled.